As the year comes to an end and holidays are celebrated, I would like to offer some gifts in a literary vein to anyone who enjoys good writers and good books. I know exactly how he felt! I understand that type of experience and sensation too. I write my poems unexpectedly, quickly, and all at once, until they are “written out,” and I rarely revise them. “Avant d’écrire, apprenez à penser.” Before writing, learn to think. About twenty years ago, I typed a list of five rules to follow during the composition of any writing. The list is on a very high-quality paper that cannot be found nowadays. So the paper is almost as valuable to me as the list! “If in the first act you have hung a pistol on the wall, then in the following act it should be fired. Otherwise don't put it there." The obvious conclusion to draw from either quote is that you must not put an element into a piece of fiction that will not advance the plot. Just because you happen to think that a certain description is wonderful, or an item “looks” cute, or you find it clever to include a favorite piece of art or clothing or bit of nature -- your personal wishes, desires, tastes, and pleasures do not matter when it comes to designing a work of art. If those preferences coincide with the needs of your fiction, then by all means, use them. But, please, leave your ego at the door when entering the world of fiction. The reader will thank you for it. Quotes by Chekhov also abound about a loaded rifle on the wall that must be fired by the end of the play. In either case, the lovely use of firearms to explain this rule of foreshadowing is typical of Anton Pavlovich Chekhov. He was an artist of brilliant understatement; of the hidden, the unseen, the subtle, even of the lyrical. His literary art touched beneath the surface to linger and stir the senses long after the book has been closed. He was a master of the short story, of plays undergirded with skeptical humor and humorous skepticism. The skepticism rarely contained hope but it was capable of enduring beauty and the haunting compression of poetry that resulted from succinct precision in thought and writing. This doctor wrote of the complications of the human impulse and the even greater complications of the human response to life. He wrote of loss as if it were to be expected. 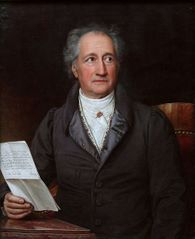 Many of his characters display indifference, perhaps apathy, toward tragedy, but that response serves only to elicit from the reader or audience the depth of emotion that is seemingly lacking in the character. 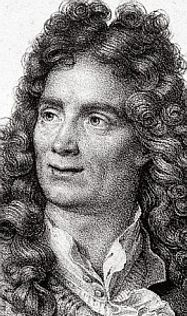 His short stories are meticulous studies (perhaps anatomies) of the irretrievable; the totally unexpected; the poignant; and of the repetitive illusion of love: an illusion so wondrous that one must repeat it simply to re-create the illusion through the atmosphere of love. In short, love must be tried for the sake of inhaling that rarified air. Such a sublime air will vanish, but one can still indulge in the vapors for at least a while! The exquisite memories, embedded in the physiological universe of the body-mind, will endure as long as that body-mind endures, perhaps even longer, if one believes in the irrepressible, eternal spirit of that body-mind and in its ability to inspire the living and to breathe life into a dispirited soul. 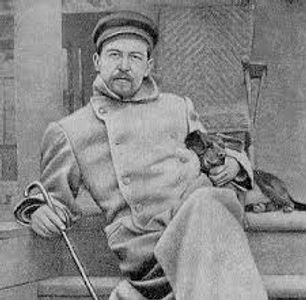 Chekhov created aura and ambiance with such subtlety within his writing that his artful literary techniques went largely unnoticed while the seemingly trivial became symbolic and powerfully evocative. In The Seagull, the first words spoken by Masha are in response to the question, “Why do you always wear black?" “I long to embrace, to include in my own short life, all that is accessible to man. I long to speak, to read, to wield a hammer in a great factory, to keep watch at sea, to plow. I want to be walking along the Nevsky Prospect, or in the open fields, or on the ocean -- wherever my imagination ranges." Had the Russians not produced this writer, as well as other poets, dramatists, novelists, and composers, of such profound talent (and requisite tragic ending) the Soviet Union would have likely been considered just a large land mass of starving peasants, bloodthirsty Communists, and exiles on ice in Siberia. 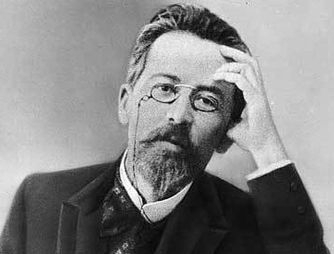 Even the death of Chekhov at age forty-four became a drama. Writer Janet Malcolm called his death “one of the great set pieces of literary history. “ Only a Russian writer could pull off that much drama after his death. 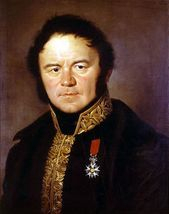 I read once that Stendhal read aloud various sections of the Napoleonic Code before setting down to write to get his style going and flowing. I do not know if the anecdote is true, but it is most intriguing.